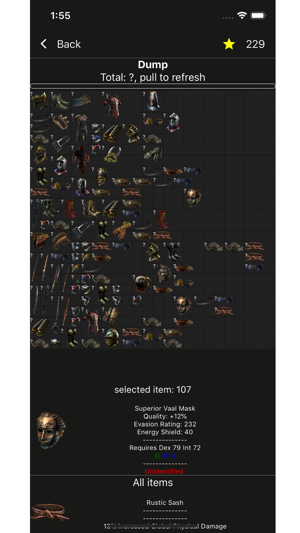 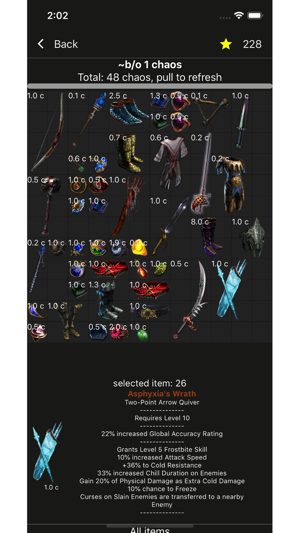 Check the price of all your items (uniques, rares, currency, gems, maps, etc.) 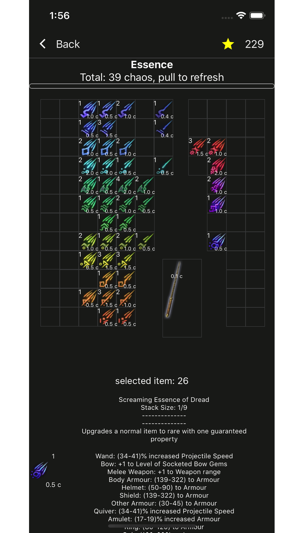 in all stash tabs. 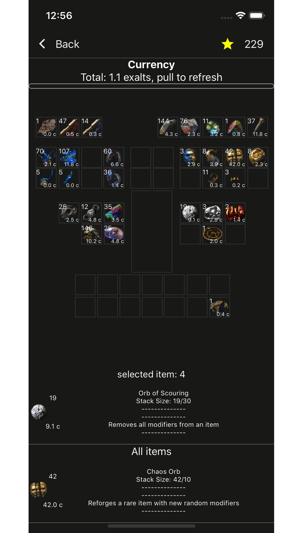 Highlight the most valuable items according to the threshold you set. 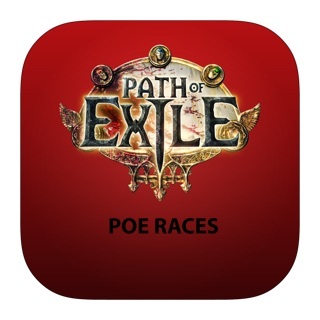 App is currently optimized for phones not tablets. 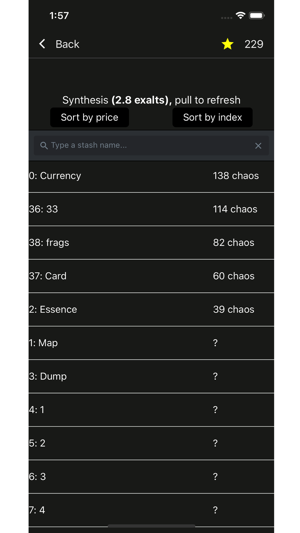 Fixed issues with exalt to chaos conversion rate in the stashes page.